The Boston Globe recently asked a bike commuter to share her commuting experience http://goboston2030.org/angelas-trip/. Many of our landscape architects regularly commute by bike as well. They not only experience some of the challenges of city riding, but are inspired to think about design improvements, opportunities or elements that they may (or may not) want to include in their next project. I have one spot on my route home that I think about once a week, “…you know, this would be so much safer if there were a bike box painted at this intersection”. 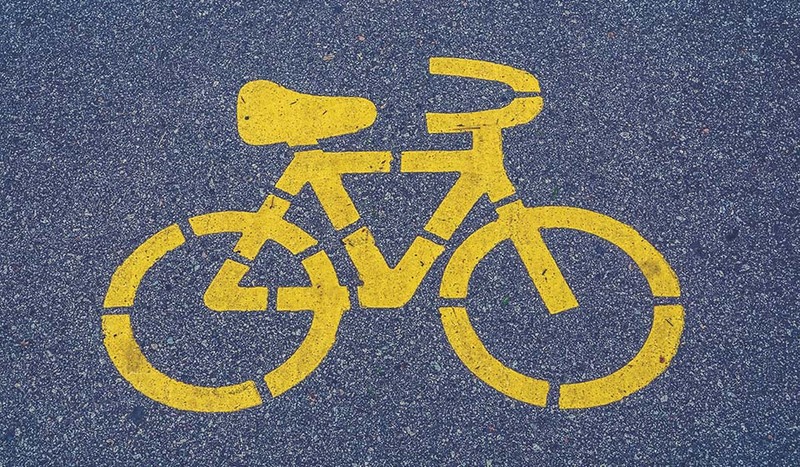 More bike markings on the road would certainly be helpful. For instance, it used to be immediately apparent where the Medford/Somerville border was, because the bike infrastructure simply STOPS. Boston can be a pretty chaotic place to get around by bike, especially when people often don’t use turn signals (I’ve been “right-hooked” so many times…). There is also the existential threat of being “doored”, which is why it is worth thinking about where we locate bike infrastructure (does it make sense to locate a bike lane right in the parked-car door swing zone?). We also have to contend with a subset of people who feel that cyclists simply don’t belong on the road and have trouble grasping the idea of a shared roadway. I’ve been on the receiving end of borderline road rage from people who I suspect either don’t know or don’t care what the rules are relative to biking. Especially as the days get shorter, there are many people biking at night with no helmets or lights. Being a ninja cyclist is a fast way to become a former cyclist, as is not following basic traffic laws like stopping at red lights. I bike that exact route every day [as the woman profiled in the article] and absolutely agree with all of her specific comments. It is very interesting how as you bike into town, the route becomes increasingly less safe, starting from a protected bike path along the SW corridor, to a marked bike lane on Columbus Street, to very few or no markings at all once you get into the Theater District and Downtown. The best part about the SW corridor and Columbus Street is that there are so many bikers during the morning and evening commute, that more often than not, you are traveling in a pack of bikers, so vehicles seem to be more aware. I’ve counted as many as 24 bikers lined up at a stop light before right by Northeastern, it’s a very cool sight to see so many people commuting by bike.